Were Netsurfer Digest still alive, this would have been a bonanza week of discovered online goodies – and it’s only Thursday! So why not present them in the same style? Tool use, while no longer a hallmark of humans, is still nifty, and a team of neurologists in Italy is looking into how it all works in the brain. They devised an ingenious experiment that is able to control for the brain’s signals to muscles in order to study the brain’s cognitive signals during tool use – in this case, in macaques. After wiring the monkeys’ heads with sensors, the researchers presented them with two kinds of pliers, which the monkeys needed to get food. One set of pliers worked in the standard manner: close your hand and the pliers close. The other pliers required the monkeys to open their hands to get the pliers to close. The monkeys’ neurons fired in the same pattern regardless of which pliers they used – but that pattern was the same one displayed by macaques who used no tool at all but grasped food with their hands. The scientists conclude that brains see tools as extensions of the body and not as foreign objects. While this is a conclusion that in isolation seems perhaps trite, it is a fundamental step in neurology and anthropology. ScienceNOW has an article. Got a favorite line from “The Simpsons”? Odds are it comes from George Meyer. The guy coined the term “yoink”, after all. This New Yorker feature appeared in March 2000 (and is socked away at The Simpsons Archive), so it is outdated. Near as we can tell from IMDb, he no longer works on the show, although he was a credited writer on last year’s “The Simpsons Movie” and he has credits on the TV show through 2005. read the article for more than Meyer, though. It shines light in some dark corners of the show’s history to reveal info you may have never seen before. Ever hear of Army Man magazine? That was Meyer’s and “The Simpsons” is its cultural heir. Grab a Duff and start reading. Film colorization has been around about a century, but exploded in the mid 1980s as colorizers turned CPUs to the task. The process became the subject of much debate, with Turner Entertainment often in the crosshairs. As audiences, critics, and historians have grown used to the process and, not least, as the technology has improved, the debate has simmered down. Still, the classics remain a point of contention and when West Wing Studios undertook to colorize the Three Stooges, arguments flared up. West Wing studied the original props to make sure it got the colors right and the results are spectacular. This is not your young uncle’s colorization. As you might expect, some of this has shown up on YouTube. Take a gander for yourself. Starting with World War II, create a list of the world’s major military conflicts. Now, choose a food to represent each nationality. Brings these foods together in animated food fights to illustrate the military history of the last 70 years and you have Stefan Nadelman’s “Food Fight” short film. See if you can name all the conflicts. It’s not too hard. One thing I forgot to mention about the weekend was that we hosted two sleepover guests Saturday night as a babysitting favour to some friends. Sunday morning, the baby (she’s three, I think) got into some of our kids’ paint in our basement and went into our bathroom to wash it off. Our sink and towels turned purple, but it’s water-soluble paint, so there’s no real damage. There is, however, a mystery. In that bathroom, we keep one of those small bottles of liquid soap with a pump dispenser. We discovered the pump part, but we have no idea what happened to the bottle or the soap that had been inside it. I wonder where she cached it. It’s another house mystery, like why our dryer will blow a fuse every few months, or why the hall lights work and then don’t, or where the heck those flies are coming from. I don;t think I’ve mentioned the flies. Early last fall, our home became home to a species of fly. They look like standard black houseflies, only they are smaller and slimmer. Strangely, for our climate, this population of flies is living through the winter. They survived even our absence for two weeks. We have no idea where they are breeding or what is sustaining them. We had some guesses. I thought they may have arrived and survived in the dog food bag, but I kept that outside long enough to freeze any larvae to death and it did not affect the flies (although, they could, I suppose, have re-infested the bag). They chinchilla poop is too hard and dry to host insects, but the rabbit and guinea pig also left the house for those two weeks and the flies were as numerous as ever when we all returned, which rules their (and our) poop out. The flies seem to cluster around the kitchen and “library” (actually a room-sized closet). There are no foul smells that might indicate where they are breeding – which, along with the five months this has been gong on, rules out a dead animal host. The flies seem to have a taste for sweet rather than, say, feces, but we haven’t seen any evidence of maggots near any food. The flies seem oblivious to our pantry. At least they don’t hide our soap. Child Three picked up a nasty virus last week. It may have been an influenza and even if it wasn’t, the symptoms were the same: congestion, cough, fever, lethargy…. We sent him to school Thursday although we probably should have kept him home. He stayed home with me Friday. Fridays are our traditional nights to invite the wife’s mother and aunt over for supper. Less traditionally, Fridays have also become Child Two’s night for play rehearsals. I picked her up and we enjoyed a nice stretch of free time, except for Child Three, who fell asleep. 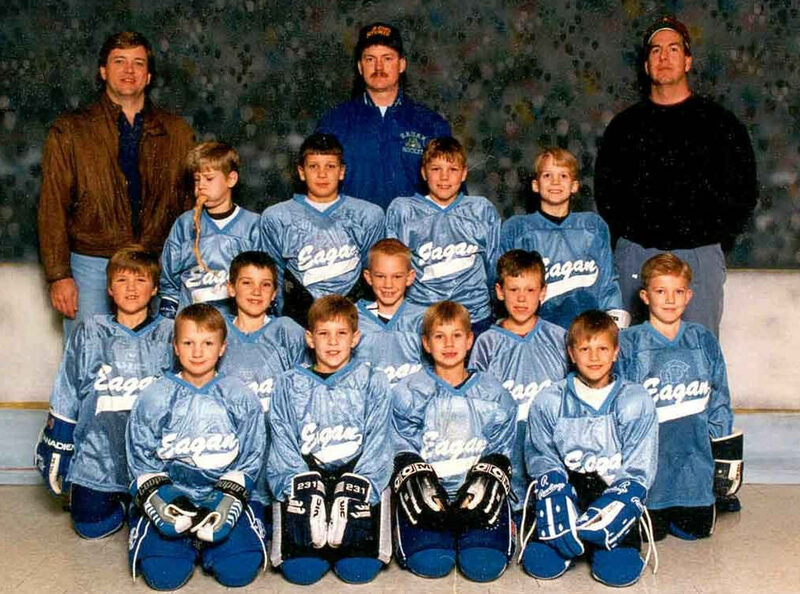 Child Three had a hockey practice scheduled for 8:00 a.m. which he missed, of course. As a coach, I should have been there, but I had to spend the day at Concordia for the Young Journalists Workshop – but more about that in a moment. I had to be at the school for 9:00, so I couldn’t make the practice either. The wife had agreed to spend the day volunteering for the local soccer association. We were left with nobody to look after the deathly pale Child Three. Child One normally babysits for us, and that was our plan originally, but with Child Three ill, we wanted more adult supervision. Lifesaver friend and assistant coach Neil stepped in. His boy was at the practice, so Child Three went with and watched. Neil dragged him around all day, a choice of words that isn’t a reflection on Neil’s plans so much as one of Child Three’s energy. I spent the morning chatting with ten or so prospective journalism students, about how to turn a press conference into a story. I think it went well, but next time I do it, I’ll make it more hands on. I lectured too much. I spent the afternoon doing a second session with the potential students. We went to my lab and did some desktop publishing, which was almost entirely hands on. I think that was more effective than the morning. I got home around 4:30 and by that time it had become obvious that Child Three was not going to play hockey. I spoke with assistant coach Bram, the father of our other goalie and told him his boy was in net. I prepared a bit for our game and vegged out for half an hour before heading to the arena. Our record was 10-1-0 with 46 goals scored and 12 against, in a virtual tie for first. We played the sixth-place team, 4-5-2 with a goal differential of 18 for and 26 against. I have no idea how that team has lost five games. They gave us a glorious game. We hopped out to a 1-0 lead early in the second, but they tied it a minute later. I think we may have had more shots, but most of our shots were taken from too far away. The opposing goalie could cover post to post with his legs – that was amazing to watch, and painful to imagine – and we never could lift the puck over him. We lost 2-1 in a game that the other team earned. In the short term, the loss will be painful. In the longer term, it will help. I was able to spot some flaws in the boys’ games that we can correct and which will make them better hockey players, which is the goal at this level anyway. We need better tactics coming out of the zone, which was a problem. Defencemen who were reasonably solid early in the year have come down with goal-itis and are now hanging out too deep in the offensive zone. We gave up many breakaways, which is a cardinal sin in my “Webs’s Big Book of Hockey”. Still, the game should turn out to be short term pain for long term gain for all concerned. Neil and family came over after the game to help us – OK, help Elvi – hang a hammock. It turned into a late night, after which I updated the acting resumes for Children One and Two, who had an audition tape to make for a kids show at 11:00 a.m. In the morning, Elvi printed out some headshots and picked up Child Two from her sleepover host while I tried to print the resumes. Child Three missed indoor baseball practice, but with the schedule, might have missed it regardless of health. We got back from the audition at 1:00 p.m. and soon had visitors. In between, I was able to knock out and post online some notes for this week’s Online Magazine class. The novice kids had another practice at 4:00 p.m. (all three novice teams practice en masse) but I was just too beat to make it. I slept through it, then woke up and folded laundry until my back started to twinge. Then I wrote this. Tomorrow? I read Web site assessments and pick grades out of a hat. Monday, I said I’d see about acquiring more of my books, possibly for sale at Amazon.com, but that’s a no go. Our entire print run has been sold, at least at the wholesale level. You can only find it at retailers now – in North America, that’s Squadron.com. Alex Y., my co-author, tells me that many modeling magazines have graced us with glowing reviews – he’s going to scan some and send them to me. We chatted about the possibility of a second printing. Alex prefers to do a second edition. He’s in pursuit of some colour slides – yes, colour. Apparently, one photographer shot colour film of David Ben-Gurion’s visit to 101 Squadron in August 1948. Alex has seen copies of the results, which exist as colour slides. He has a lead on where to find them, so we’re keeping our fingers crossed. I have a local lead to pursue: the family of a ground crewman in the squadron lives in Montreal. His effects, including memorabilia and photos of his time with the squadron is allegedly in the attic a half hour north of me. I’ve gotta pester them…. 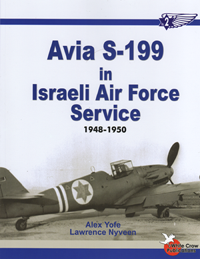 We also came to an agreement on a second collaboration, on a book about the B-17 in Israeli service – er, I could say on the three B-17s in Israeli service. For that, my role will be more editor than original writer, which is exactly how I want it. Writing a B-17 text from scratch would take far more research for me than did the book on the Avia S-199 whose history at this point is encoded in my genes. For the B-17 book, Alex will do the bulk of the thinking and I’ll whip it into shape. As is happening far too often lately, I was up very late last night. I work best in the mornings and going to bed at 2:00 or 3:00 cuts into my productive hours, which are not merely pushed back to later if I wake up past them. Regardless, through the evening, Crash (the dog) was acting even more noodgy than usual. He demanded petting with an insistence that bordered on affectionate. He made working on the laptop impossible. Even my growling at him, which usually gets the message across and sends him under his table, didn’t faze him. Thinking that his perseverance indicated that he had to pee, I put him out in the yard, but he kept at it after he got back inside. Here’s the bizarre part: Crash actually climbed onto the couch to snuggle. When I finally went to bed, the dog followed, which was rare in that he’s usually already in our bedroom asleep with Elvi by that time. For some reason, he was staying with me all night. He tried to find room in our bed (which is low to the floor, futon style) instead of curling up next to it. That’s something he does when he’s scared by weather, but last night was calm. This morning, Crash has kept following me. He does that normally, but he’s sticking extra close. He even followed me into the bathroom. That’s not all that’s odd. Crash’s ingenious biological clock has decided that -12-degree weather is the perfect time to shed his winter undercoat. What’s up with him? Is he sick? Afraid of something? Does he smell that I’m sick? I don’t think he’s finally breaking out of his neurosis…. Please note some additions to my blogroll(s). Glen Rotchin is a local author/schmatte district property manager. His appropriately titled novel is “The Rent Collector”. If you read the Gazette’s book section, you’ve read his book reviews. I think we went to the same high school (Bialik) around the same time. Don’t you wish your father was geek like me? If so, send him to Geekdad, a cooperative blog from Wired. I’d take a moment to explain it, but there’s too much. The focus is broad: it doesn’t restrict itself to toy-geek, computer-geek, or gamer-geek. It’s a selection of announcements, films, and pointers to anything fun and technical, from wasp biology to origami telescopes to how to get that Rock Band microphone to work. It’s a new daily visit for me. Speaking of geek dads, I noticed that my book is up at Amazon.com, but it’s not available. I should make some available – once I get more stock. I’m all out. We faced the team we beat 10-0 again this past weekend. This time, they had present a kid who I think might be the best in our league, if the all-star game was any indication. We won again, but only by a 5-2 score. That kid scored both goals, identically: a fake right then a deke left to put it in the open side. Now, off to shower and do carpool…. Now that Alex has let the cat peek out from under the bag, I’ll mention it too. A cable network has paid for three more scripts on one of the shows he’s been developing. Experience-free Webs is not going to be part of the little writing staff he’s putting together, nor would I expect to be, but with a little luck I’ll have some sort of industry job in six months. Some of you may have seen this already, but I’ll post it for the rest because it’s technically amazing. The BBC series Timewatch analyzes and historical events and recently looked at the D-Day’s Omaha Beach. The episode itself tried to spin unoriginal conclusions out of a whole lot of nothing, but that’s not my point here. The show uses recreations. Most TV documentaries about battles do. But these usually involve fewer than two dozen participants and use narrow shots to keep the empty battlefield hidden. Timewatch went another route, sort of. The show’s CGI crew of three, with the help of some manual labour, invaded Omaha Beach to recreate the landing. One of the most fun parts of filming is for the computer graphics (CGI) sequences. Timewatch has its own team dedicated to CGI (Neil Wilson, Steve Flynn and Colin Thornton) who have come out to Normandy with a car laden with Rangers’ uniforms and fake plastic guns. They are here for two days to film some basic drama reconstruction sequences that will form the basis of their D-Day landing scene. In order to catch low tide when the beach is at its widest, we head for the beach at dawn whereupon the three boys spent several exhausting hours dress up in the uniforms and run up and down the sand, as I operate the Z1 camera. They carefully plan it so that each run is in a different part of the frame. That way, when they are back in the office, they can layer these frames up in the computer until it looks like there are hundreds of men landing on the beach – rather than just three. Later they will drop in beach obstacles and landing crafts, based on images they have gathered from books – and also small explosions, filmed separately again. As well as the beach landing scene, they have to film a sequence of cliff climbing at Pointe du Hoc – to illustrate what Ike and his fellow Rangers had to do on D-Day. We find a small 10ft sand dune which the boys clamber up head-on into the camera. I help hold up the green screen making sure it fills the frame behind the boys. The green screen means that when it comes to the edit, they can drop in a different background – in this case, the sea and Pointe du Hoc cliff-line. Now, this does not match the quality of “Saving Private Ryan” despite claims that it does. The result falls short of most movie work, I’d say, but it is leagues ahead of the standard TV military documentary. But imagine where this process will take us. Don’t think of it in terms of studio movies, though. Those already use computing power to replace extras – look at the Lord of the Rings trilogy of movies. This technology is so fascinating not for what it can do for major productions, but for what it can do for the hobbyist. The line between pro and amateur in camera and editing tech has already blurred, although the hardware and software remain a tad pricey. These guys devoted four days to the show’s recreation. What could someone do with a dozen people and a week? What will they be able to do in five years? Expect a great leap forward for homemade short films. Game number ten went into the books this afternoon, with Child Three in goal. He stopped a good chance early, but got lucky on the rebound as he turned his back on the play but the shooter put it into his pads. We ended the first period up 1-0. Child Three has two tendencies that really drag his game down, and I had a little chat with him during the break. He ignores or swings out his stick and he goes down on one knee. The one knee stance is fine if he’s trying for a toe save that he needs to reach for, but Child Three uses it as his default and as a result he lets in more goals than he should between the legs. I told him to pay attention to those errors, and he listened. He made some good stops in the second period, and got a bit of help from his crossbar once, but the period ended with the score still 1-0. Our guys scored three more goals in the third, and Child Three made one or two more decent saves, but the team fell apart. The last three goals all came on dekes. Our player went to one side, the opposing goalie went down, and our player would take the puck to the other side and pot one. The other goalie (the second as our opponents split the game between two goalies) was not bad – he stopped everything else and even stopped that move a third of the time – but our team collectively sensed the weakness. Unfortunately, some of the skill players decided that scoring more goals was more important than backchecking and they got lazy. They waited for clearing passes instead of going in and helping the defense strip the other team of the puck. With four minutes left, I told my forwards to play defensively. The line went on and gave up a breakaway within 30 seconds – and watched the opposing players rush toward our net instead of skating back to intercept (we have some fast players who might have caught up). Child Three did his one-knee drop and the puck went in. It was a total breakdown. That became an extremely short shift for that line. WIth two minutes to go, one of players received two minutes for slashing, and the other team scored an almost identical goal. Breakaway, one knee, puck in net. I’m not a big believer in the momentum cliche, but I do believe in motivation. The goal motivated the other team and they had us back on our heels, but we withstood the pressure and took the 4-2 score into the locker room. The other coaches and I had more to say in today’s debrief than we did last week after the 10-0 win. We’re playing the team we beat 10-0 next week, and they are much better than that score indicates. My Panthers better be more ready to play and work for the entire game if they want to stay in first place. Can’t write. Can’t read. Can’t even play games. I’ve just been in sort of a funk all week. I can still teach, though. Well, at least as well as I ever could. But it’s a good thing I have nothing to correct because I suspect I couldn’t do that either. It doesn’t help that the handle to open my trunk stopped working sometime between 5:00 and 6:30 p.m. Tuesday.